Kathy is babysitting two little brats. 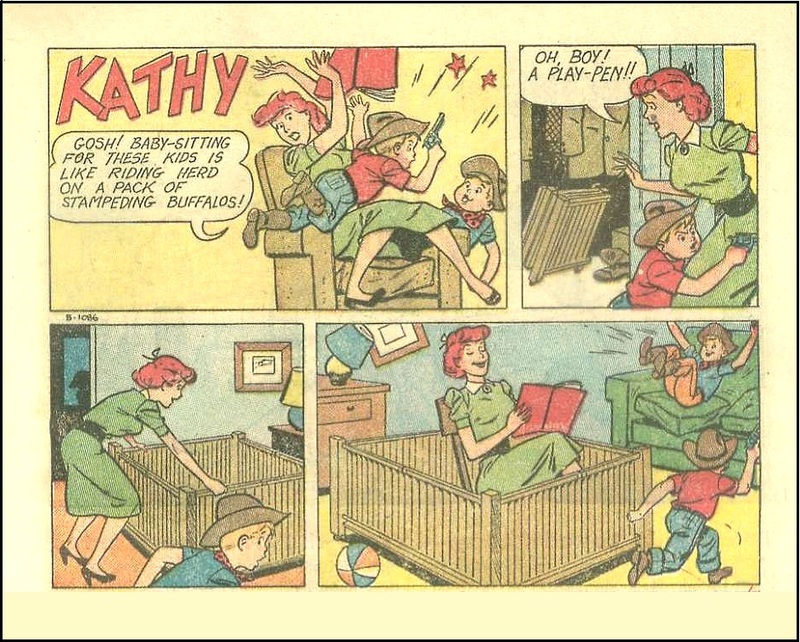 Of course they won’t let her read in peace so Kathy has to take matters in her own hands. See her solution above.